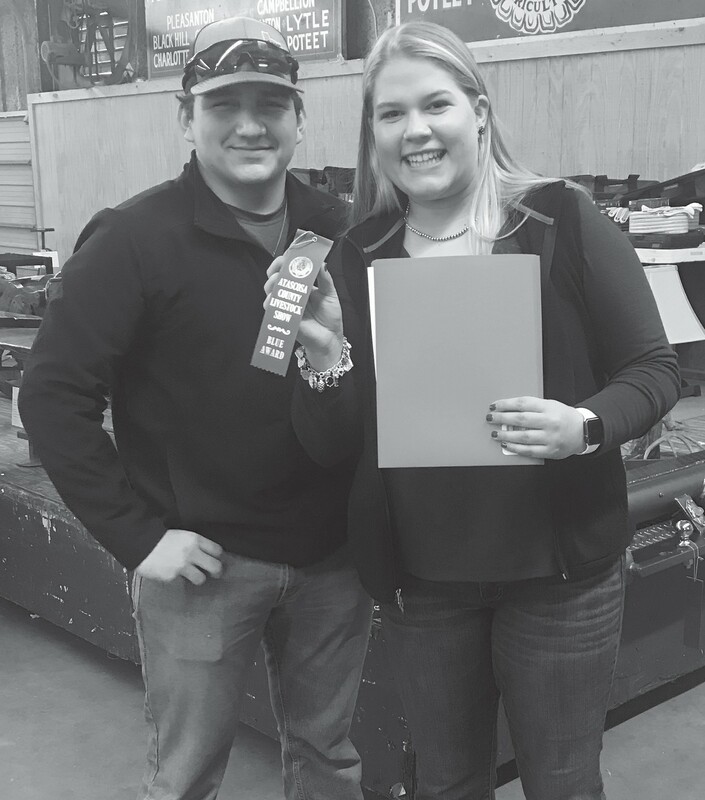 With stock show season upon us, many students are feeling the excitement of stepping into that show ring for the first time while others like Pleasanton High School senior and FFA President, Autumn Hagen, are feeling all the feels with this season being her last. Hagen has been showing for 10 years, starting when she was just eight years old. She was first inspired by her mother, older cousins and family friends to get involved with stock show, having heard them talk so highly about their time in the ring. Spending time with family in the show barn has been some of the best memories for Hagen that she will hold dear to her heart forever, but when it comes to being in that ring by herself, she finds the hard work of preparing and doing all she can to be the most rewarding. 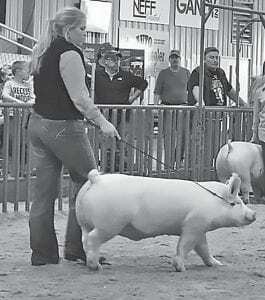 “The profits gained at the sale are pretty great, but the most rewarding part by far is when you know you have done everything possible to make sure that your stock is as ready as possible, especially when it is noticed and you receive that ribbon/ placing/recognition from the judge,” she said. This year, Hagen is showing four pigs. In the months leading up to stock show season, she spends her time walking, washing and cleaning pens for her animals. She explains that the week before show is just about as hectic as the actual week when Hagen is putting in the last finishing touches and double checking to make sure all of her work is complete. Not only does she have to make sure she is prepared herself, but her animals as well. Hagen comments that stock show is in no way “easy” due to all the hard work in preparing the months, weeks and days leading up to show, but says the easy part for her is that it never really feels like work for her. “This is what I am passionate about and I love the hours spent in the barn in preparation for show. Hagen will graduate from Pleasanton ISD this coming June. She plans to attend Texas A&M University where she will go to become an Ag teacher.